Bismarck has the largest medical facilities between Minneapolis and Seattle, with two Level II designated trauma centers located within the city. At one time, only Rochester, Minnesota had more hospital beds per capita than Bismarck. Both hospitals are located within blocks of each other, near 7th/9th Streets & Broadway Avenue. Despite their competitive positioning, the two medical centers often partner together to provide full-level healthcare services, with each entity having different primary specialties. Saint Alexius was the first hospital in Dakota Territory when it was established in 1885. 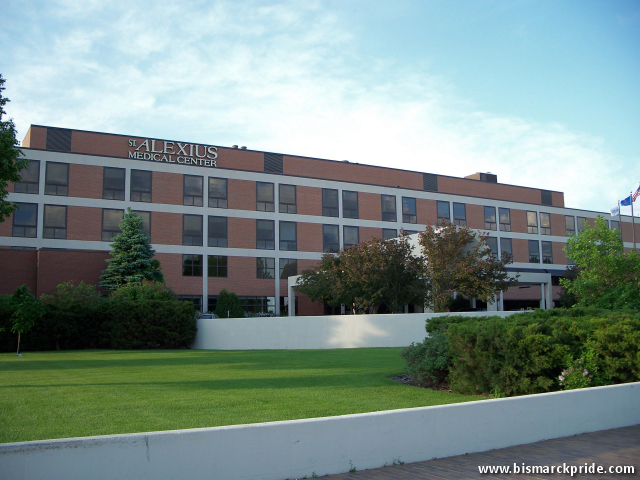 Saint Alexius is the region’s largest hospital, with 306 beds (as of 2017). Saint Alexius partnered with Catholic Health Initiatives (CHI) in 2014. Sanford Health Bismarck (Medcenter One) has routes back to 1902 when Doctors Quain & Ramstad partnered together to open a clinic. Bismarck Evangelical Hospital followed in 1907, and became the first hospital in western North Dakota to have an x-ray machine. The name changed to Bismarck Hospital in 1955, and then again to Medcenter One in 1984. Sanford Health merged with Medcenter One in 2012. Sanford Health features 223 beds (as of 2017).